Sunflower wedding dress ideas include ideas for beautiful bridal dresses that you can wear for a sunflower themed wedding. A sunflower themed wedding is a beautiful floral theme wedding and so when you choose wedding dress for the bride, you can always look for floral lace wedding gowns with beautiful flower designs and also add a sunflower brides garter if you like. You can also add matching sunflower jewelry like sunflower rings, sunflower bracelets, sunflower earrings, sunflower necklace etc if you wish! Many of the floral wedding gown are designed with laces and stunning works which matches well for a sunflower themed wedding. You can also find floral satin wedding dresses for the bride with beautiful floral designs that match with the rest of the sunflower decorations of the wedding. Sunflowers are large, beautiful, cheery, bright and colorful, mostly yellow flowers. So if you want to match with the color of sunflowers, you can go for colorful yellow wedding dresses that match with the yellow shade of sunflower petals. There are many yellow sunflower wedding dresses for brides or bridesmaids, so if you do not insist on wearing white or ivory colors you can wear matching yellow bridal dresses instead. However, if you prefer to wear white or ivory colors, you can go for floral bridal dress with beautiful floral designs which matches with the sunflower theme. 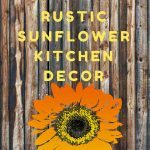 Go for sunflower bridal bouquets and sunflower decorations are you are good to go! 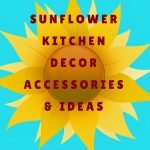 You can also find other sunflower make up accessories for brides that matches with the sunflower theme, like sunflower hair accessories (try this beautiful sunflower crystal hair pins), sunflower tattoos, sunflower jewelry etc. If its not for the bride, you can also find matching sunflower dresses, or matching floral dresses or yellow dresses for bridesmaids and flower girl too! 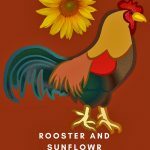 Though I couldn’t find bridal dresses with sunflower designs (that is why I recommends floral dresses and matching yellow wedding gowns), you can find beautiful dresses with sunflower prints on them which you may choose for bridesmaids or the flower girl. Another idea is for the bride to choose a white or ivory colored floral dress or any beautiful white lace wedding gown that you like along with matching sunflower bridal garter paired with a sunflower bouquet and have yellow dresses for bridesmaids which is sure to look great with sunflower decorations! 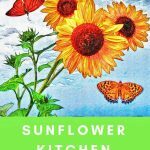 Hope you found this post on sunflower wedding dress ideas helpful in finding some of the most beautiful wedding dresses that look great for a sunflower themed wedding!